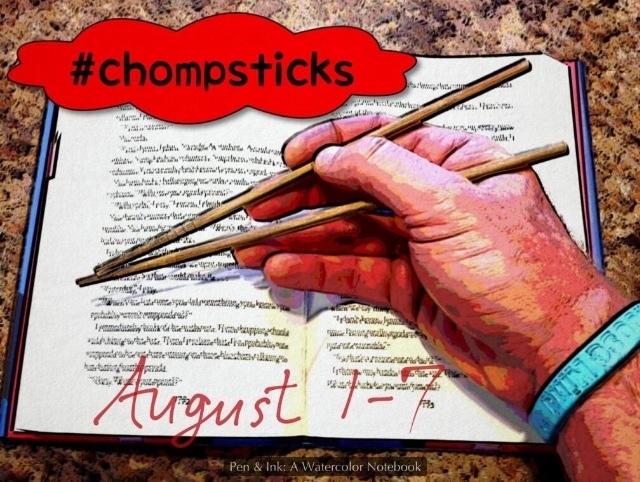 #Chompsticks week on Twitter (& Instagram & tumblr) ended yesterday. 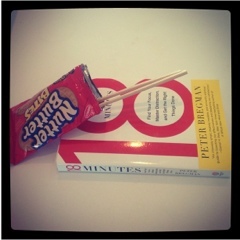 Today, it felt a bit weird not coordinating a nerdy t-shirt/accessory, book, and snack with my chopsticks for a quick photo shoot! I posted 2 pictures daily to celebrate this fun week. I'm resharing them here so next year I won't have to dig to find them! Be sure and check out David's blog where I'm sure he'll be sharing the daily collage pics of all participants!